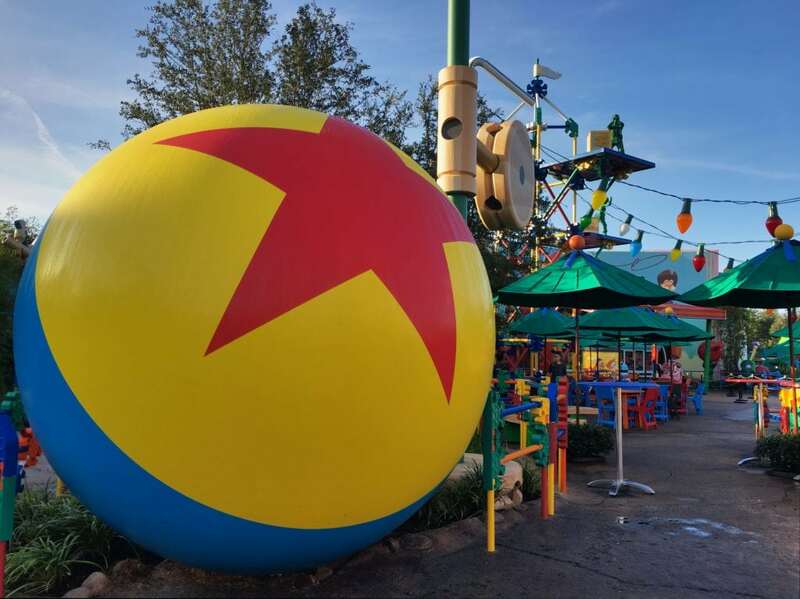 Today was the first day of Disney Early Morning Magic at Toy Story Land at Disney’s Hollywood Studios. 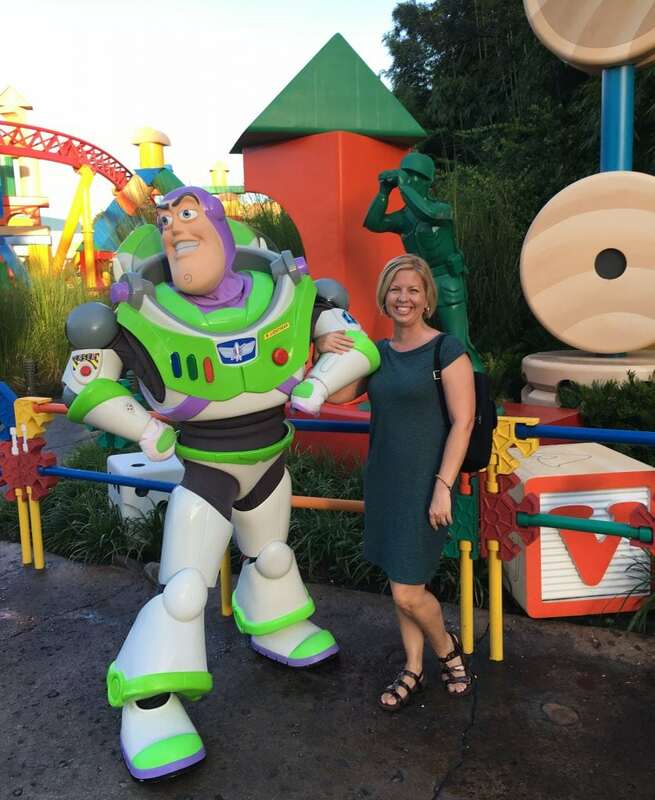 We were invited by Walt Disney World to come experience the new event that lets you get into the super popular Toy Story Land before all other park guests. What is Disney Early Morning Magic at Toy Story Land? If you’re familiar with extra magic hours, this is a little bit like that. However, Disney Early Morning Magic hours are a paid ticket and include a meal (breakfast). Disney Early Morning Magic is only held select dates on Mondays and Wednesdays. 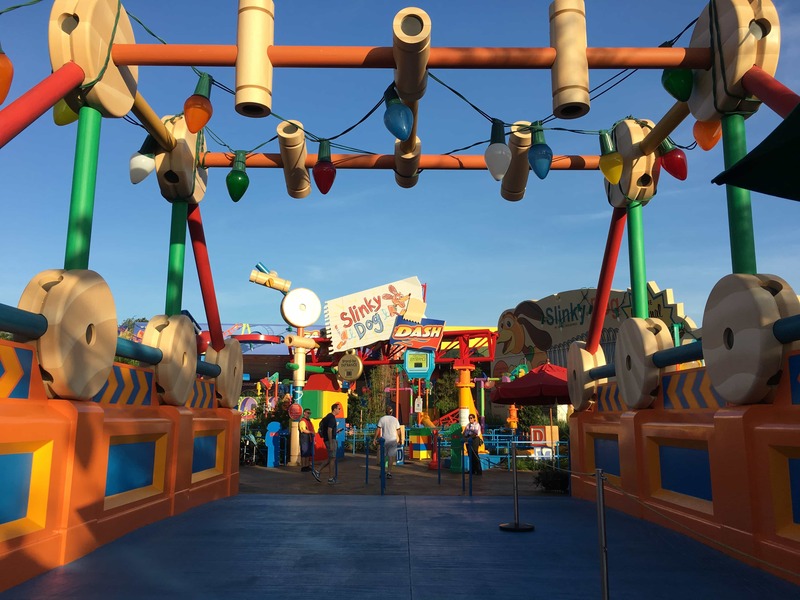 Enjoy early access to Toy Story Land from 7:30 – 8:45 a.m.
Keep in mind, Disney Early Morning Magic hours ticket is in ADDITION to your normal theme park ticket. This is NOT a ticket that will allow you all day access to Disney’s Hollywood Studios. The cost is $79 for adults, $69 for kids age 3-9 years. Disney Early Morning Magic in Toy Story Land was a unique way to enjoy the newest land at Walt Disney World. There’s no way that you WOULDN”T enjoy it! 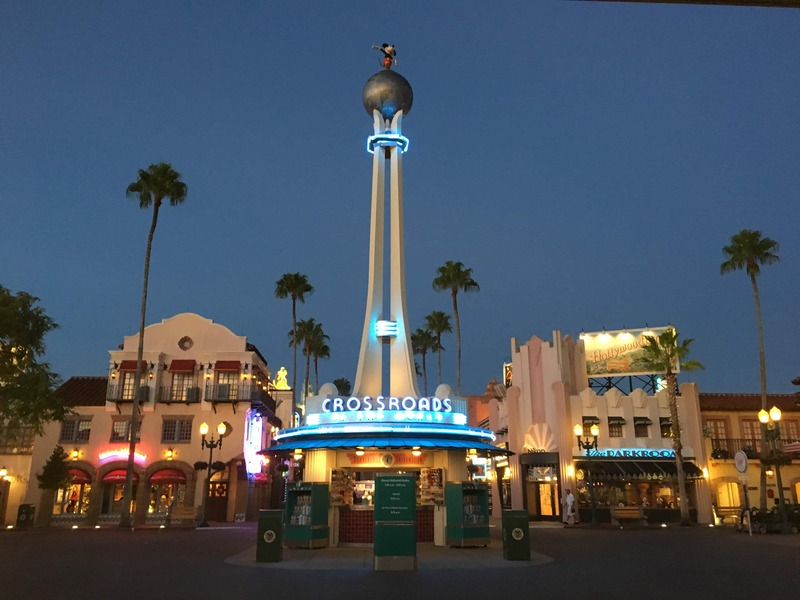 After all, unlimited rides on some of the most popular Disney attractions, delicious food and more comfortable weather make this a great experience. However, this paid event is not for everyone. 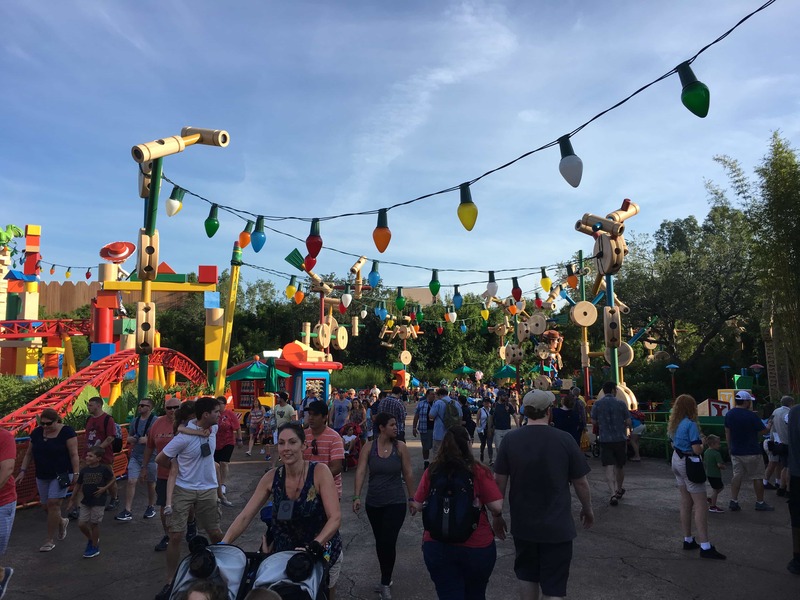 Read on to see the benefits of Disney Early Morning Magic at Toy Story Land, and who might want to invest in another experience, instead. We were happy to walk into Toy Story Land with NO crowds! It’s an amazingly awesome experience to enjoy this popular land without feeling like you’re shoulder to shoulder with tons of people. 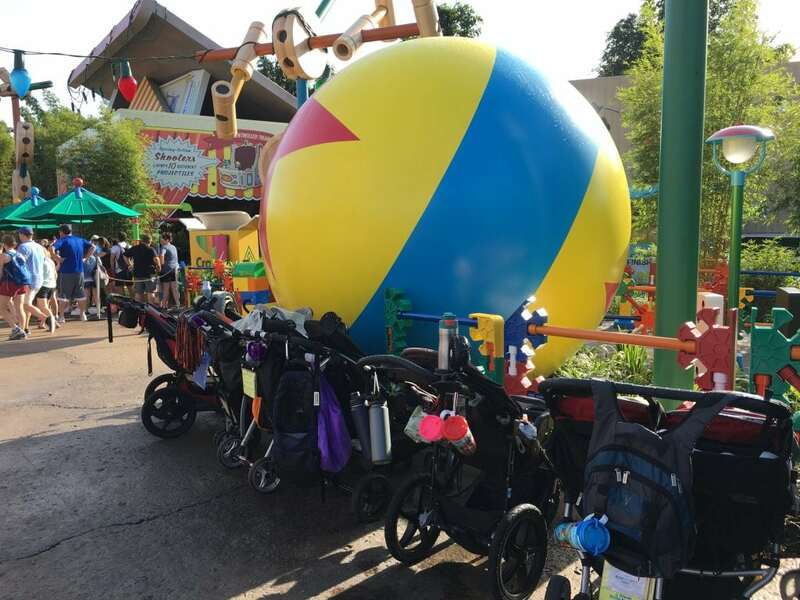 It’s the little things like plenty of stroller parking, plenty of places to sit and taking pictures with whatever you want without having to ask someone to move or getting people in the picture. Those are the perks of enjoying this playful land without too many people. All of the attractions had 5-10 minute wait times!!! For the entire time frame of Disney Early Morning Magic at Toy Story Land. 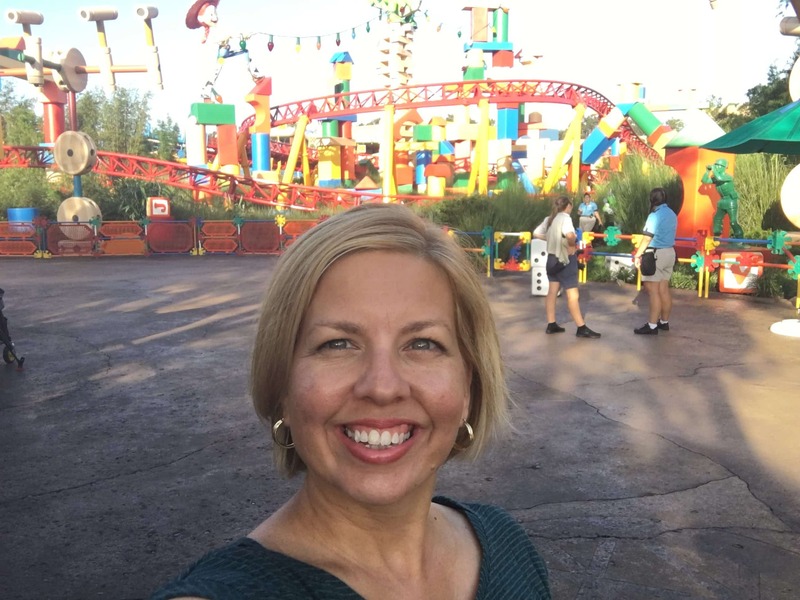 So riding Slinky Dog Dash up to 7 times in a row is totally possible! The characters are out, too. Buzz only had a couple people in line the entire time. Jessie and Woody had a shorter queue line than normal (and you don’t have to wait in the hot sun when you’re in line so early). 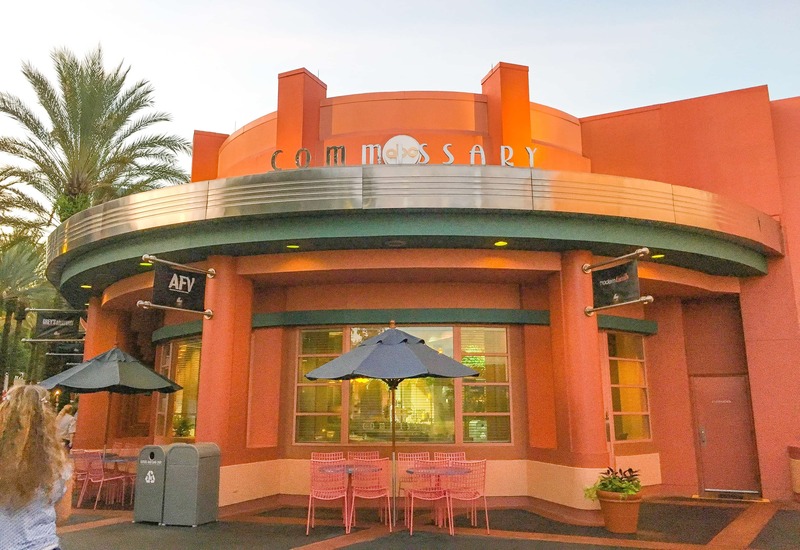 Breakfast is available, but you don’t have to eat when you arrive at Disney’s Hollywood Studios. You can postpone breakfast until 10 a.m. Which means you can treat the meal like a very early lunch. There are heavier meal options, see below. 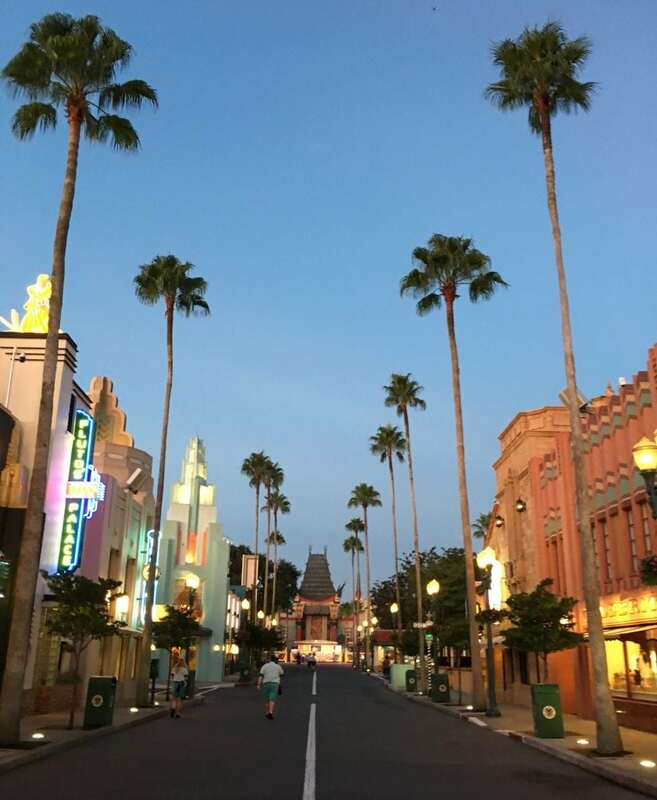 Walking into Disney’s Hollywood Studios as the sun rose in the sky, with a peace and calm in the theme park before the park officially opened, is truly magical. 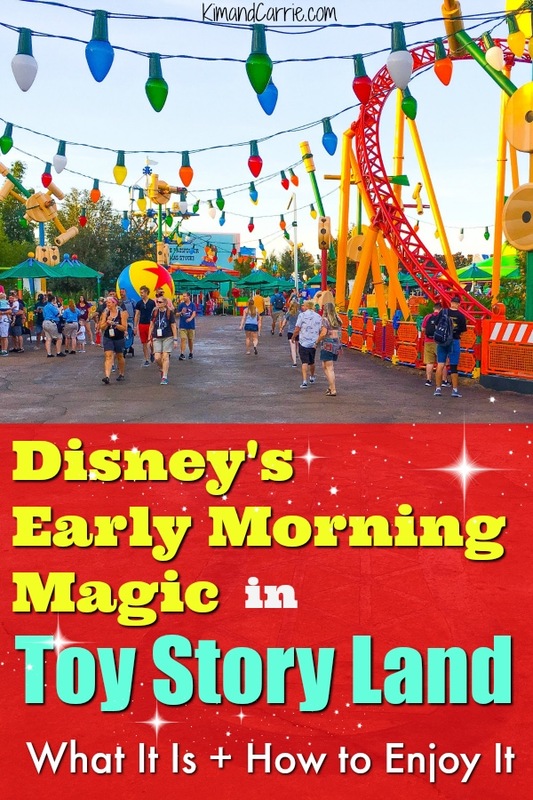 If you really love the magic of Disney, you’re going to love exploring the walk towards Toy Story Land in the early morning hours. Keep in mind, you cannot go to other places in the theme park. There are no other rides or lands open. And you cannot go exploring to take pictures elsewhere. If you don’t want to ride the rides more than once, this experience might be as exciting to you as if you want to ride them multiple times. Make sure you have transportation options (check these Best Disney Transportation Tips) to get to Disney’s Hollywood Studios before normal opening hours. If you are relying on Disney buses, check to see if they are running, and consider how early you might have to start Disney transportation to get to the theme park on time. Parties with young kids that can’t ride one or more of the rides might not find as great of value. 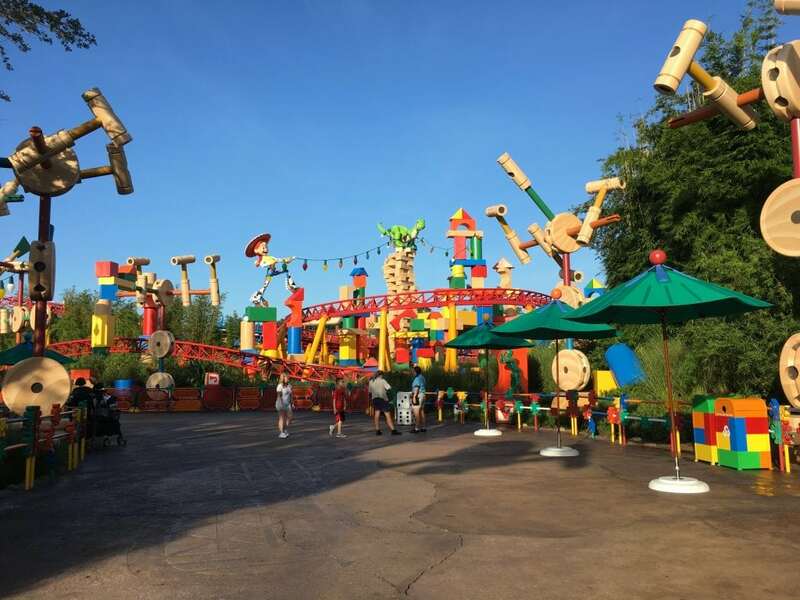 There is little to do in Toy Story Land beside the three rides and two character experiences. Character experiences still can be lengthy. I waited 30 minutes for Jessie and Woody. Which is 1/3 of the time allotted for Disney Early Morning Magic. 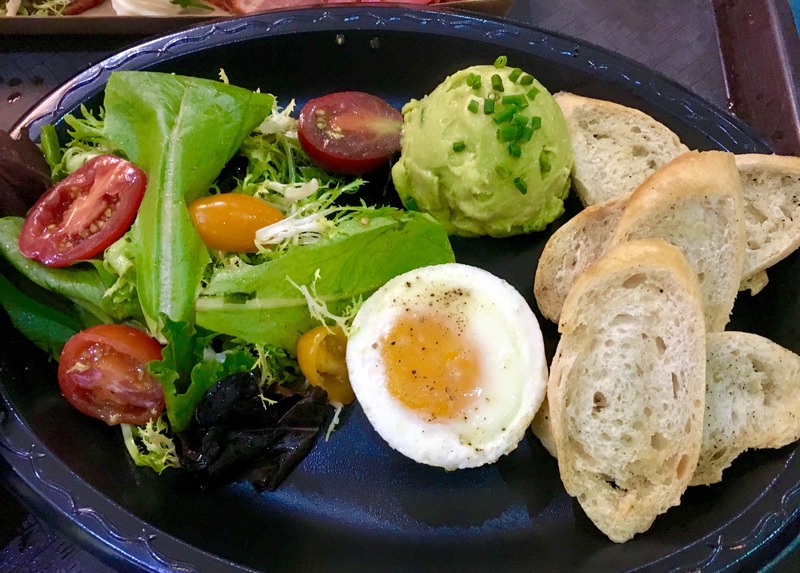 If you don’t eat breakfast, or have a Disney Dining Plan that includes enough food for all day, the food portion might not be part of your decision. While the main reason you’re paying for Disney Early Morning Magic is because of the unlimited and early access, the cost of the meal could be a factor in your decision to buy the experience. 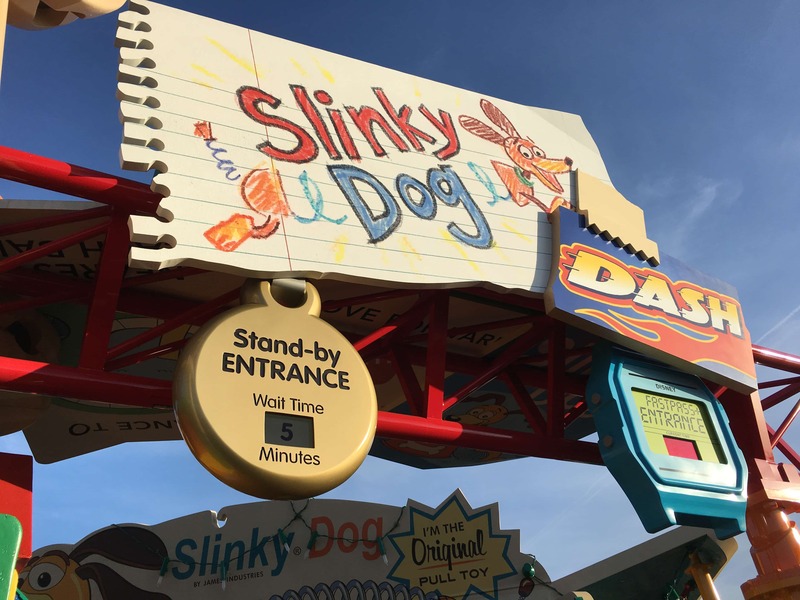 If you already have a Slinky Dog Dash FastPass time, and don’t anticipate riding more than once, then you might not receive as many benefits. You can get FastPass times for other attractions more easily. Toy Story Mania! tends to have a much shorter wait time than Alien Swirling Saucers and Slinky Dog Dash, so you wouldn’t have to wait too long during general admission in the theme park. 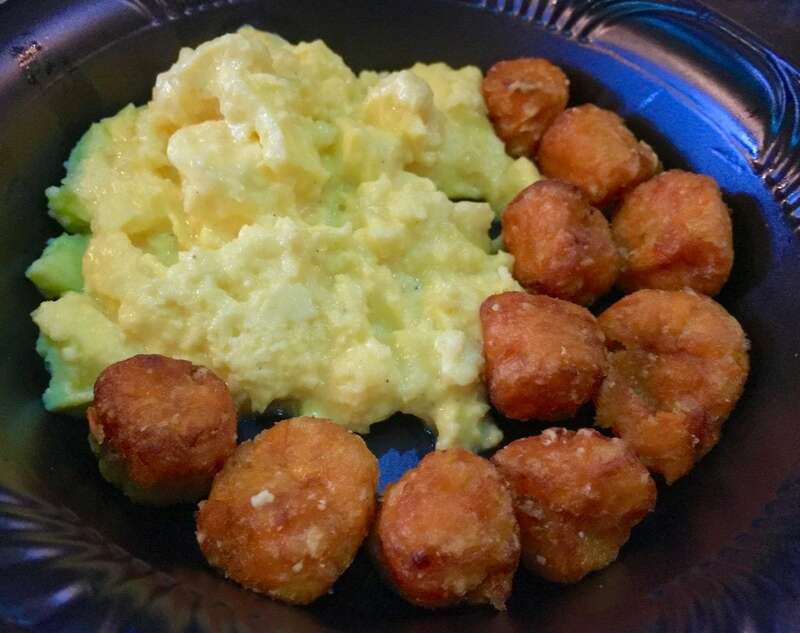 Breakfast is included in Disney Early Morning Magic. Our breakfast was served at ABC Commissary. 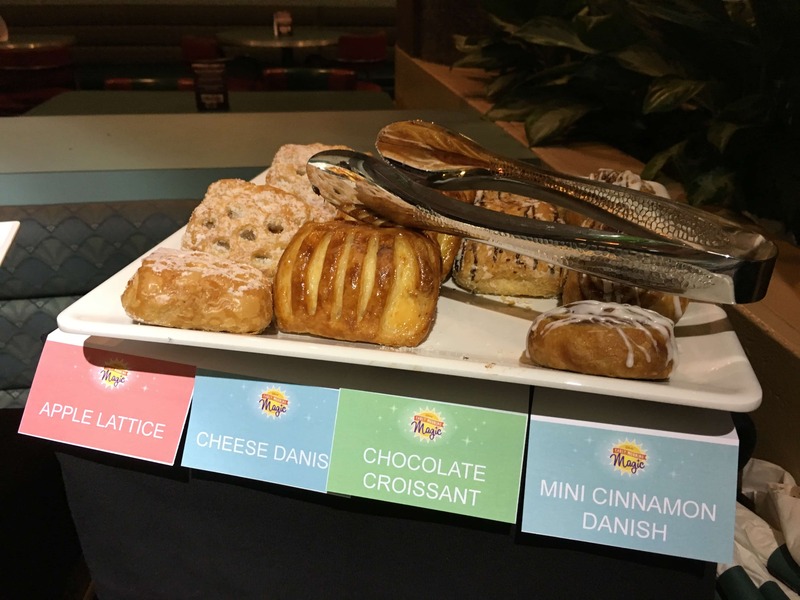 With our Disney Early Morning Magic wristband, we were allowed entry into the restaurant at any time up to 10 a.m.
A continental breakfast is available at any time. 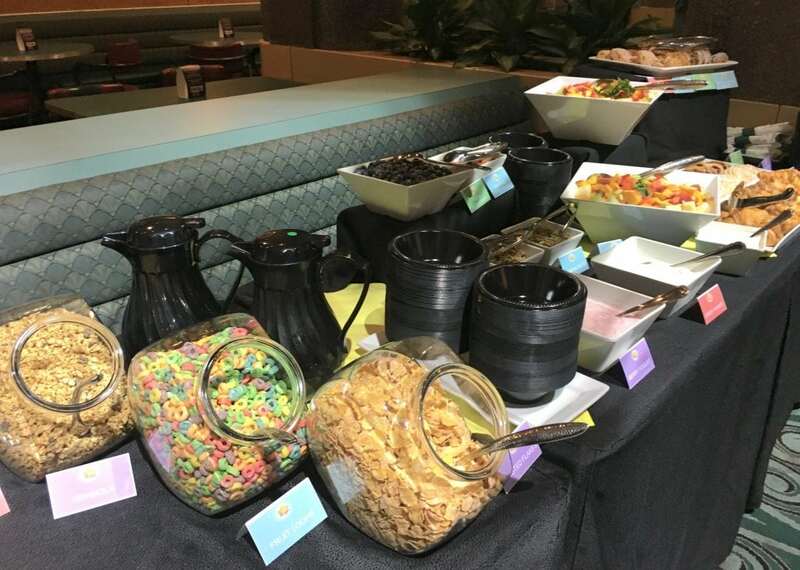 It includes, yogurt, toppings, pastries, cereal and drinks. Guests are allowed to choose a hot entree, as well. The entrees are listed on the menu above the order stations. Simply walk up to the cast member, place an order, and there is no charge. Absolutely delicious! We loved these! 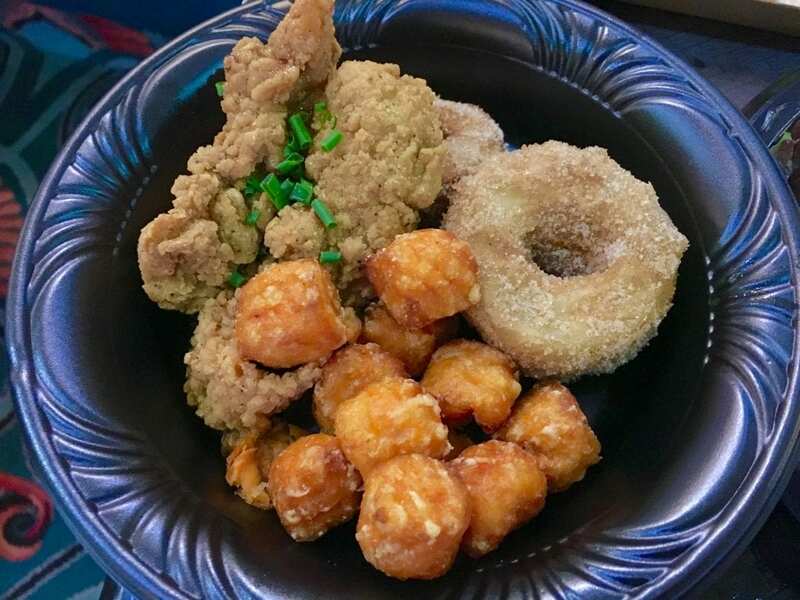 Crispy chicken tenderloins paired with sweet potato barrels, cinnamon sugar French donuts and maple glaze. A great idea for a really early lunch entree! This was really delicious and a substantial choice. 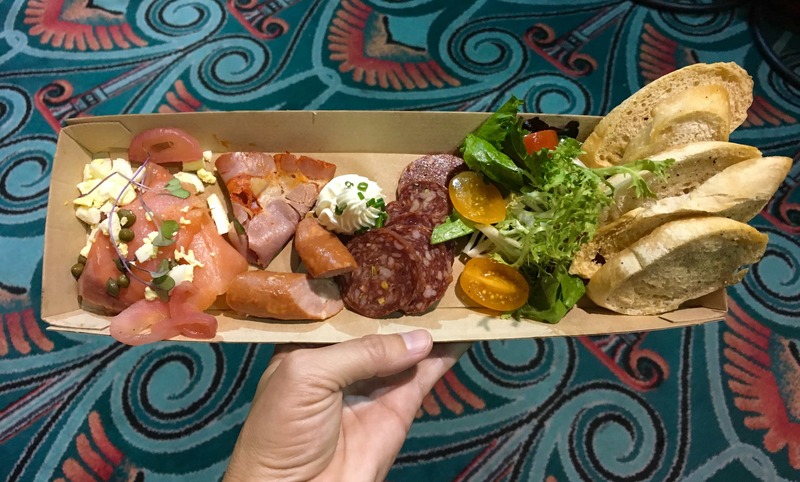 Smoked salmon, chopped hard boiled egg, whipped cream cheese, pickled red onion, capers, debreziner sausage, cured salami, capitol ham, seasonal dressed greens and crostini. 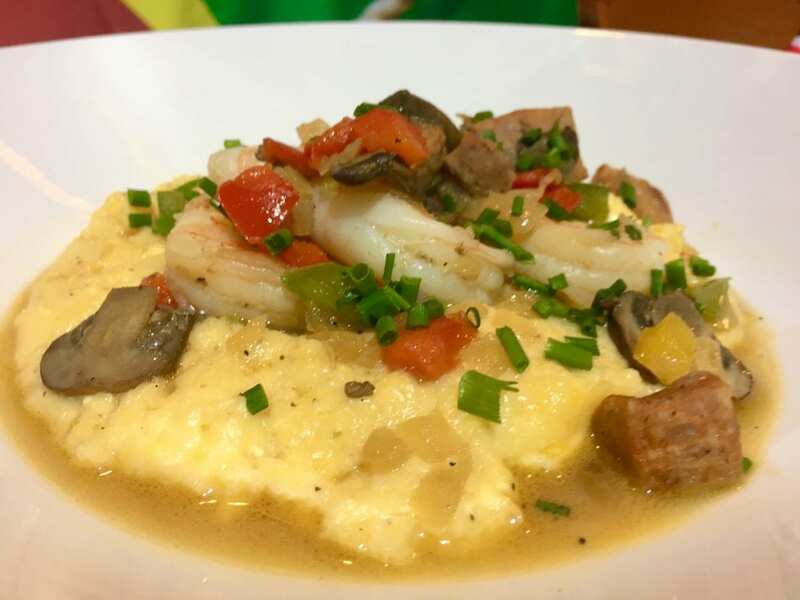 Creamy cheddar cheese white corn grits, sautéed shrimp, yellow, red and green bell peppers, onions, and andouille sausage. 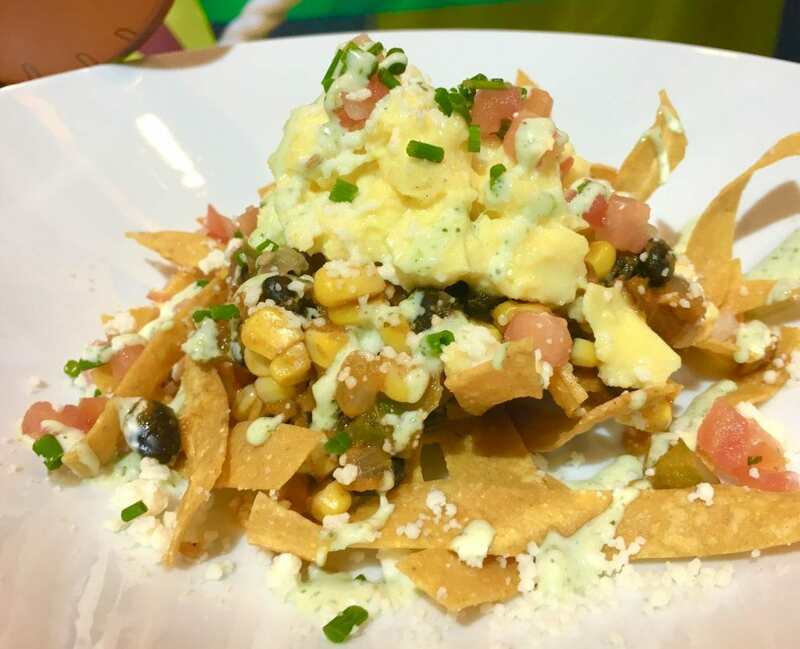 Fresh corn, black beans, caramelized onions, poblano peppers, chorizo and rancho sauce with house fried tortillas, pico de Gallo, avocado, queso fresco topped with scrambled eggs and cilantro cream. Get there as soon as it opens. The experience starts at 7:30 a.m. But there is the possibility that breakfast can start as early as 7 a.m., according to Disney’s website (reservations state 7 a.m. or 7:30 a.m.). Ride all of the rides first. Do every ride as many times as you can. Buzz has the shortest line. If you’re wanting character photos, consider visiting him later in the experience. Want to see Jessie and Woody? Hop in line right before Disney Early Morning Magic ends at 8:45 a.m. Still want to do any more rides? BE SURE to get in line for Slinky Dog Dash before 8:45 a.m. Toy Story Mania! usually is still a small wait (about 10 minutes) early in the morning. Eat breakfast before 10 a.m. after you are done in Toy Story Land. 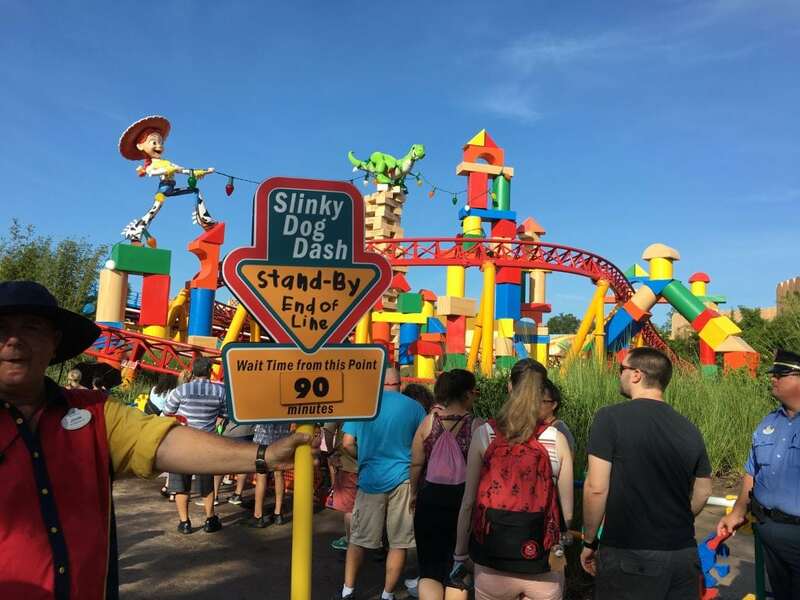 As soon as all park guests are allowed to enter Disney’s Hollywood Studios, the crowds in Toy Story Land build FAST! 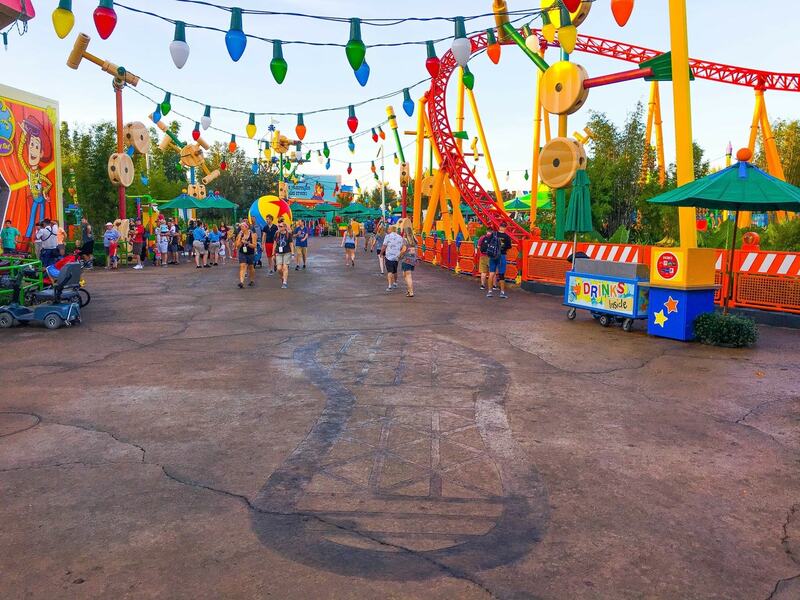 Everyone rushes towards Slinky Dog Dash. By the time I left the land at 9:20 a.m., the line was 90 minutes and snaking all the way down the walkway, ending just at the Buzz Lightyear character line. 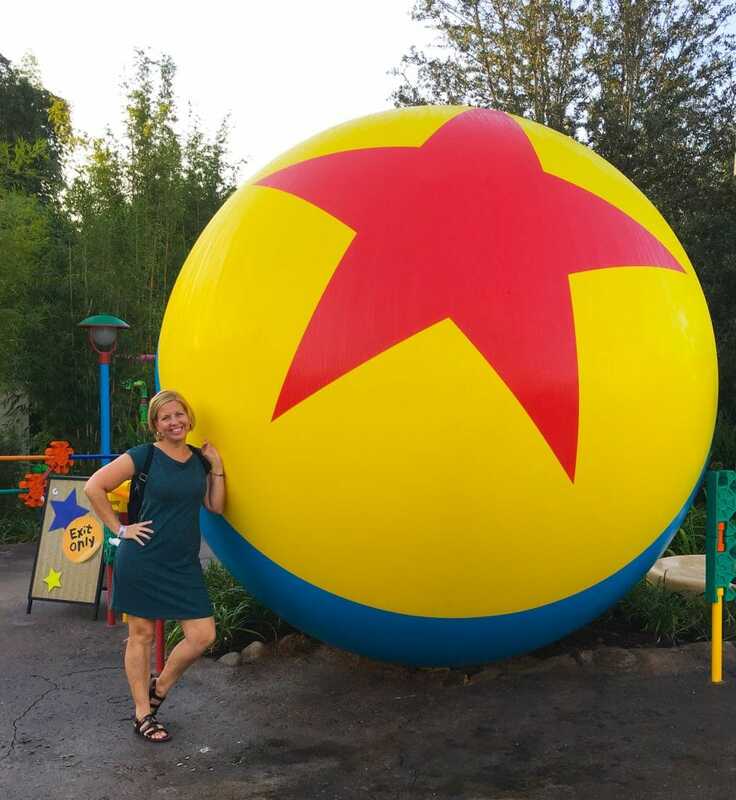 Are you able to give information regarding where the characters can be met in Toy Story Land? The locations are not listed in the Disney apps. Hi Erica! 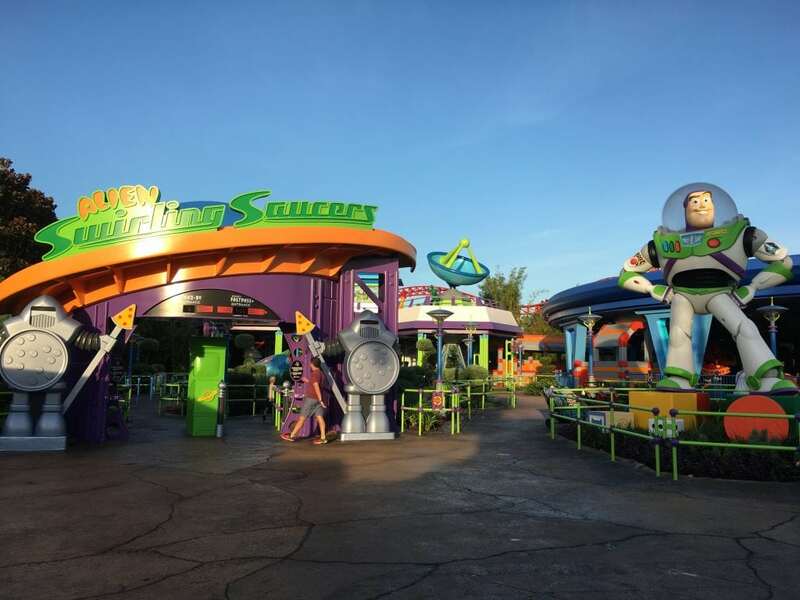 Buzz lightyear can be found right after the entrance to Toy story land just beyond the big sign. He will be against the fence on the right hand side and there will be an umbrella set up so you know where it is. 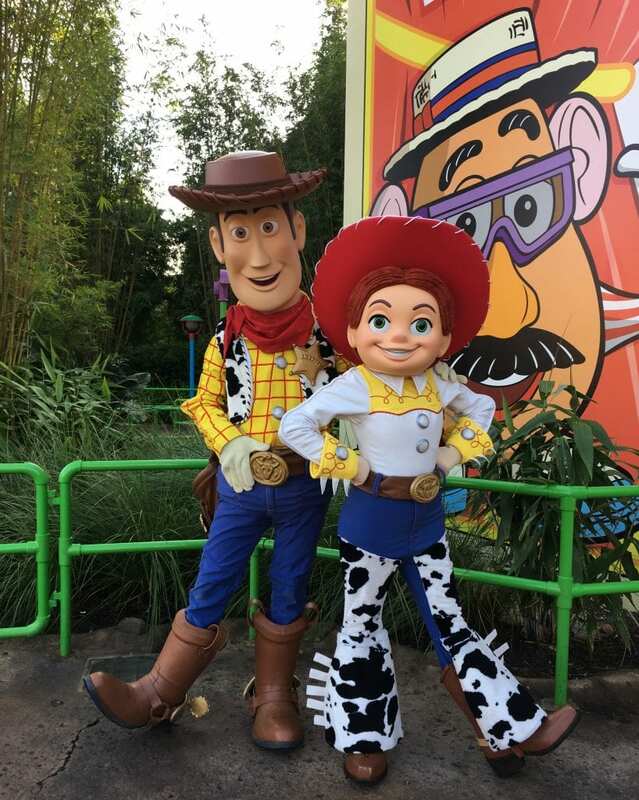 Woody and Jesse are located further into Toy story land, on the left. There will be a line set up in the opposite direction of Buzz lightyear’s. They do their character meet and greet past Toy story Midway mania.